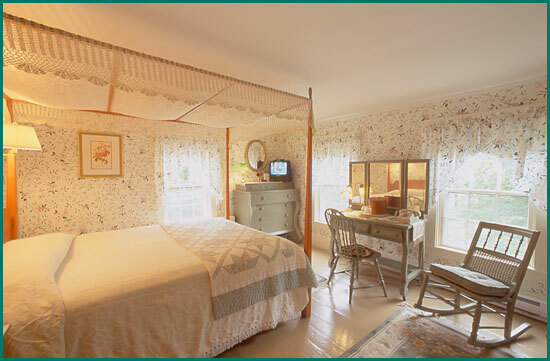 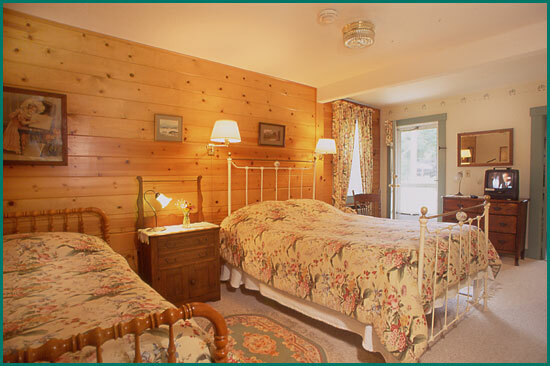 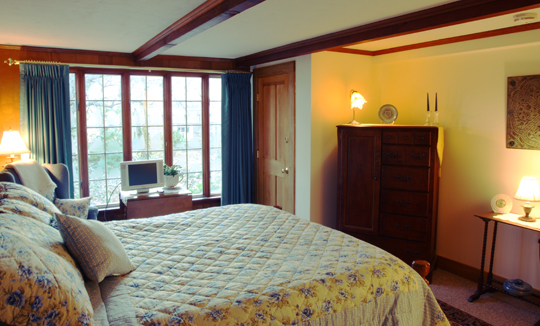 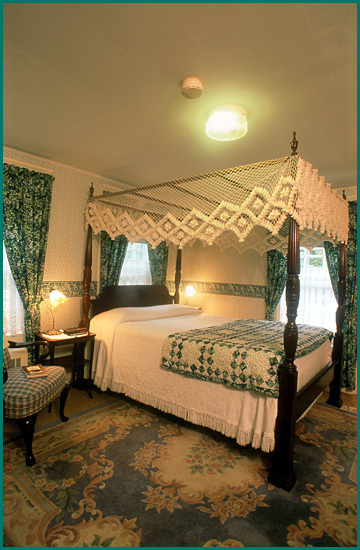 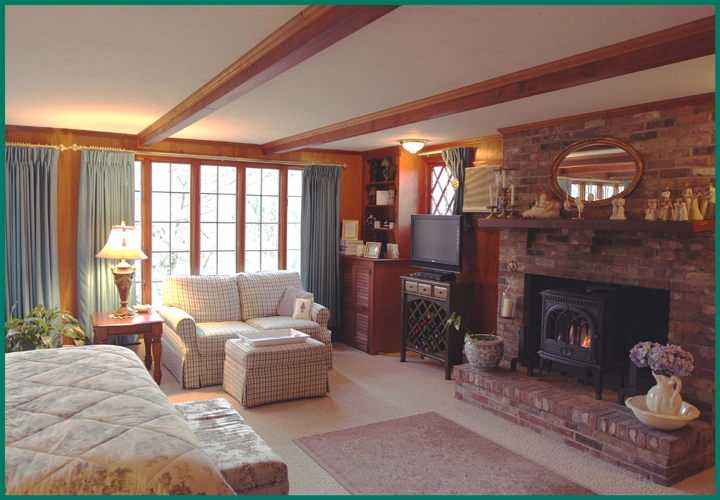 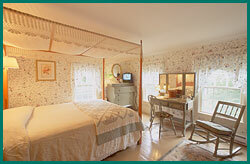 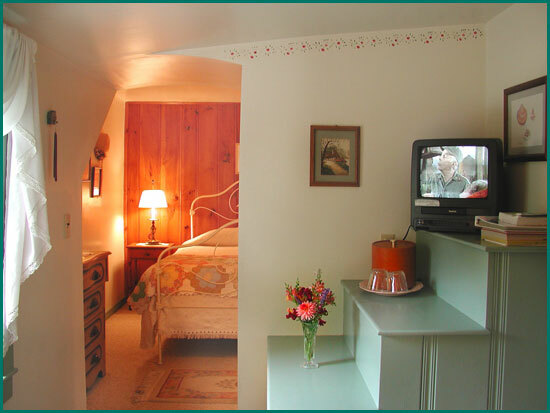 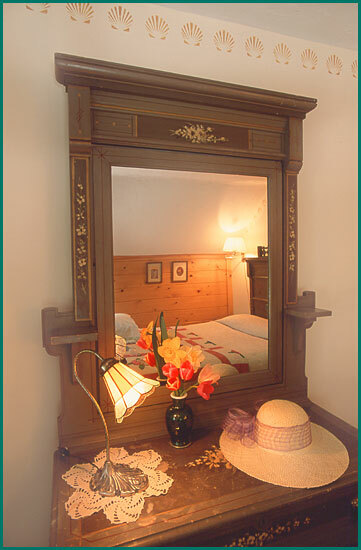 Isaiah Hall Bed and Breakfast has ten guest rooms and two suites decorated with charming country antiques, coordinated Laura Ashley or Waverly prints and oriental rugs. 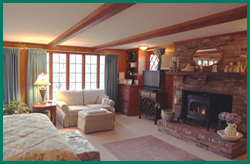 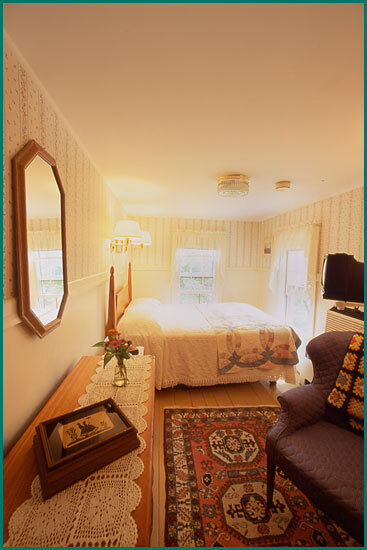 All are non-smoking, have private bathrooms, AC, TV/VCR's, wireless internet access available in most rooms, robes, radio/alarm clocks, hairdryer, and an iron and ironing board. 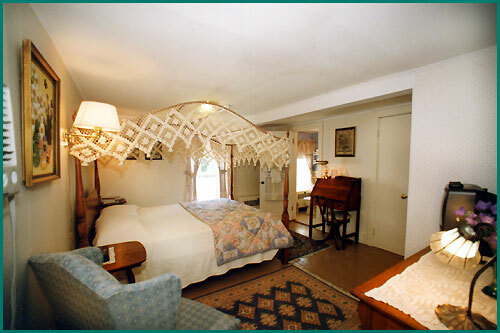 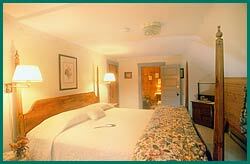 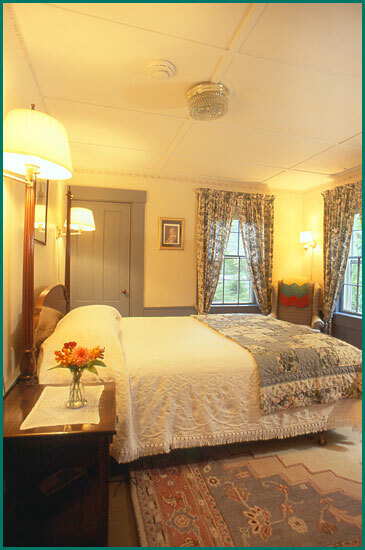 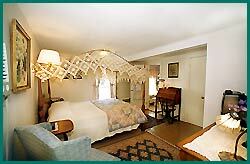 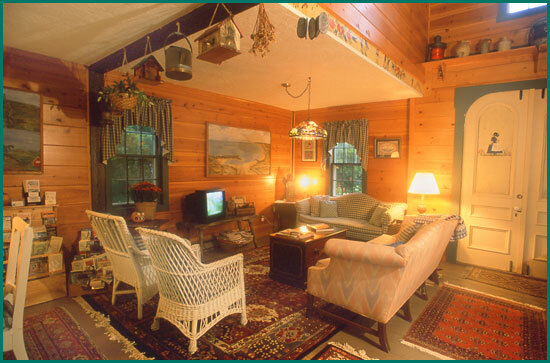 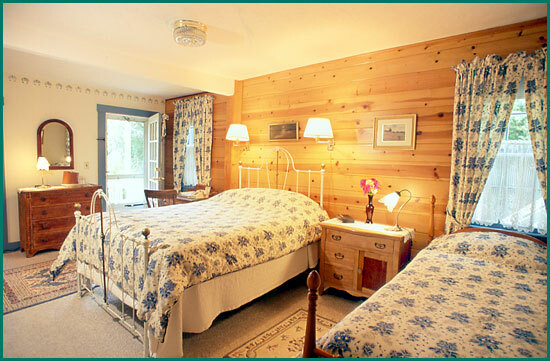 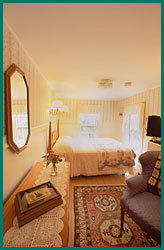 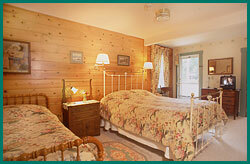 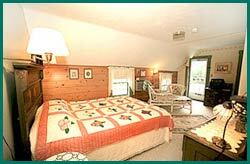 All rooms have at least one comfortable wing or Martha Washington chair for reading. There are 2 connected sections in the Inn, the Main House and the Carriage House. 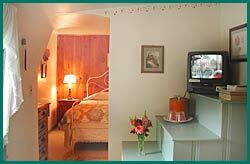 The Great Room in the Carriage House has a large guest refrigerator and the 2nd floor of the Main House has an additional smaller one. 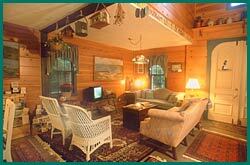 Wireless internet access is available in the Great Room. Deluxe queen with balcony overlooking back garden, hand painted cottage furniture, desk, 2nd floor, private tub/shower.